Our many decades of experience has qualified us as experts in our field. 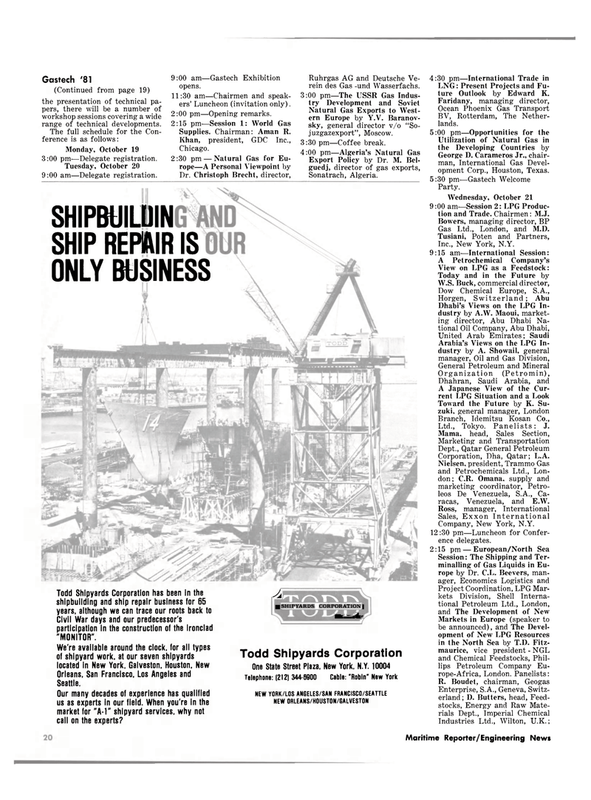 When you're in the market for "A-1" shipyard services, why not call on the experts? Nielsen, president, Trammo Gas and Petrochemicals Ltd., Lon- don ; C.R. Omana, supply and marketing coordinator, Petro- leos De Venezuela, S.A., Ca- racas, Venezuela, and E.W.